Healthy Lasagna Recipes | Eat This! All of our healthy lasagna recipes. 10 facts about lasagna, from its origins in Italy to its popularity in modern culture. A gluten-free vegetarian Mexican lasagna recipe made with corn tortillas instead of pasta. 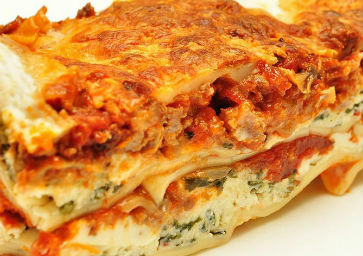 It can be made with meat for non-vegetarians or can be turned into a vegan lasagna by substituting ingredients. This vegetable lasagna recipe is made without cheese, but soy cheese or regular cheese can be added. I use no-boil lasagna noodles.